Facepalm: Tech myths have been around for years, but one might imagine that in today’s internet age, where information is just a few clicks away, most people know hokum from fact. It seems, however, that this isn’t always the case. HighSpeedInternet.com interviewed hundreds of people in the US to find out how many believed some of the most popular technology myths. At the top of the list, believed by 86 percent of interviewees, is something that certain phone and camera companies want people to think: that more megapixels mean a better picture. In reality, the resolution will be higher, but the sensor size is more important when it comes to image quality. The next most-believed myth is one that used to be true: charging a phone overnight can ruin the battery. Years ago, doing this could reduce a battery's lifespan, but tech advancements mean it's no longer the case. The equal-second most-believed myth is a controversial one, and some will argue it’s not even a myth. Fifty-two percent of participants believe in planned obsolescence—specifically, companies deliberately slowing down handsets to force customers to upgrade. Late last year, an Italian watchdog fined Samsung and Apple for allegedly engaging in the practice, though the companies deny it. There was also Apple’s battery-related performance throttling controversy. 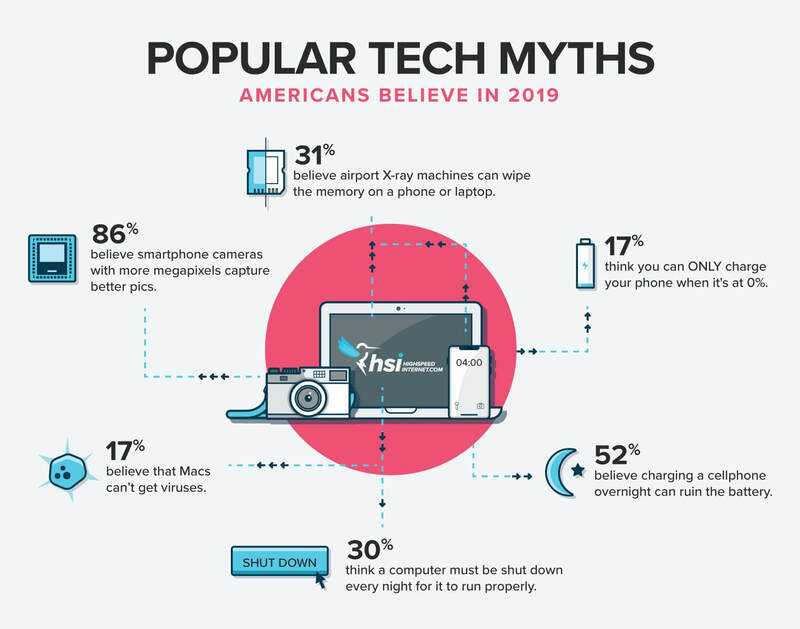 Other popular debunked myths include airport x-ray machines wiping digital data, computers needing to be shut down every night to run properly, and Macs never getting viruses. 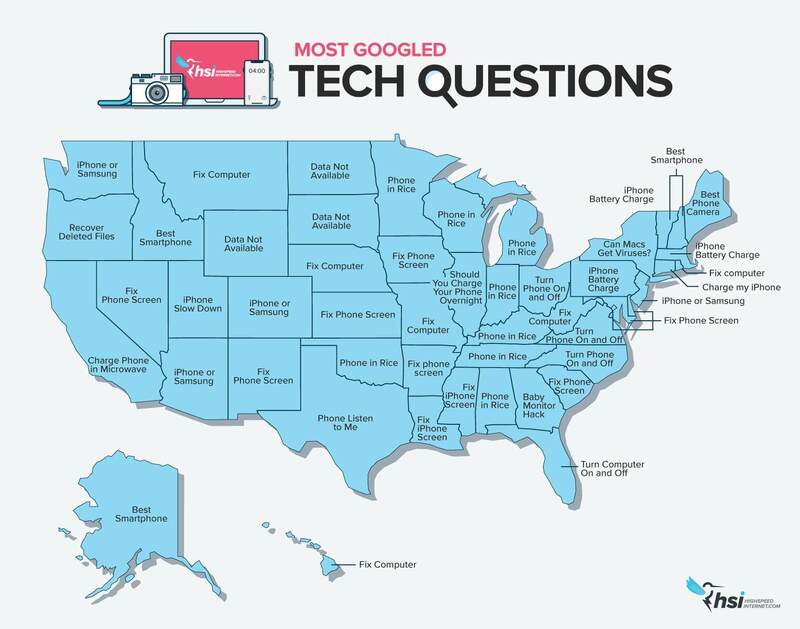 HighSpeedInternet also put together a list of the most Googled tech questions by state (above). California’s “charge phone in microwave” is a bit worrying, and a few queries also appear in the tech myths list.